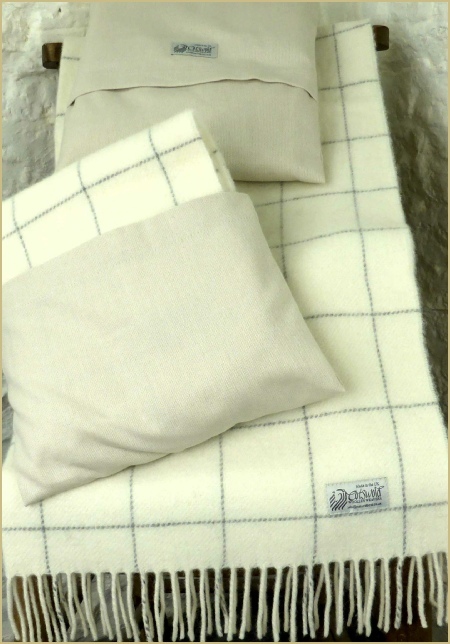 EVERY DAY we are told by happy buyers that this is the product they have been searching for. 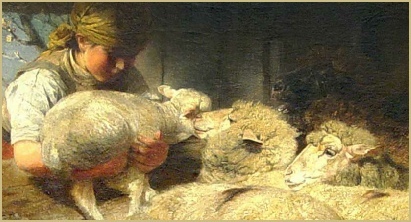 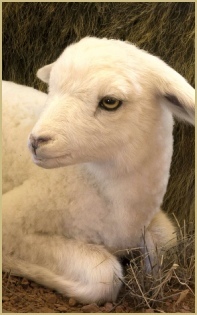 Softest Merino Lambswool for baby. 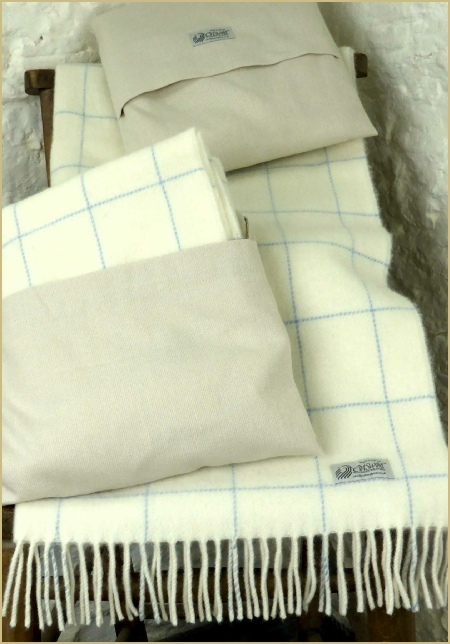 Sustainable, like all wool, a wonderful insulator for warmth in winter and coolness in summer, naturally sheds dirt but can wick moisture away from baby’s skin… And, of course, both traditional and beautiful. 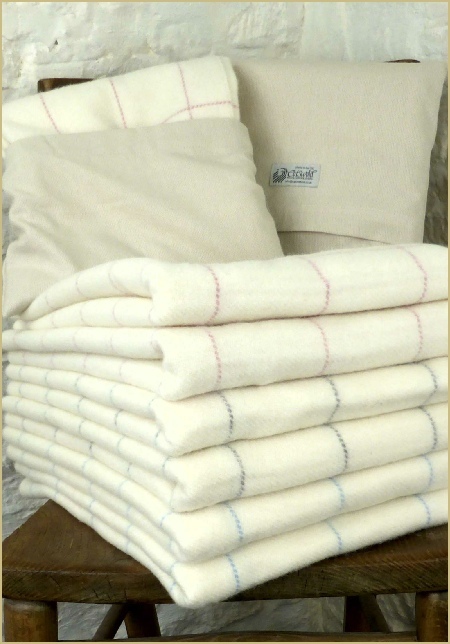 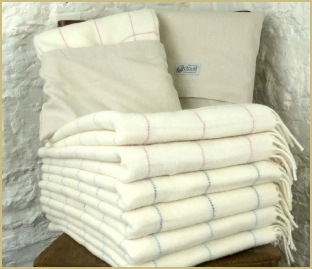 Our softest lambswool Baby Blankets are a good size for the cot or as a shawl, and come in a practical storage carry-bag woven from pure cotton. 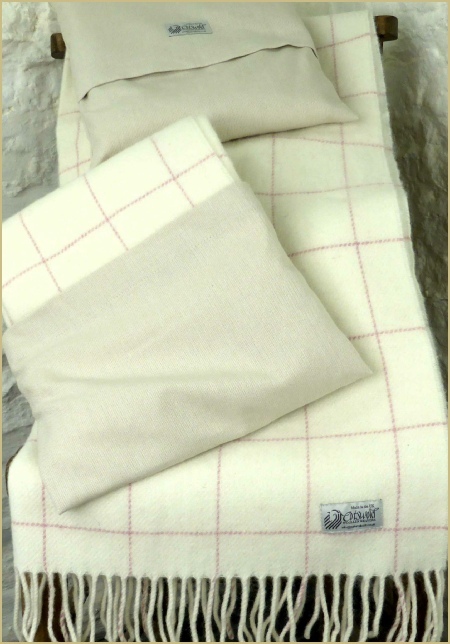 If you love baby, you’ll love our softest Lambswool Baby Blanket in ecru with a pink, blue, or dove grey overcheck.